PASADENA, Calif. - NASA's Mars Reconnaissance Orbiter has revealed vast Martian glaciers of water ice under protective blankets of rocky debris at much lower latitudes than any ice previously identified on the Red Planet. Scientists analyzed data from the spacecraft's ground-penetrating radar and report in the Nov. 21 issue of the journal Science that buried glaciers extend for dozens of miles from edges of mountains or cliffs. 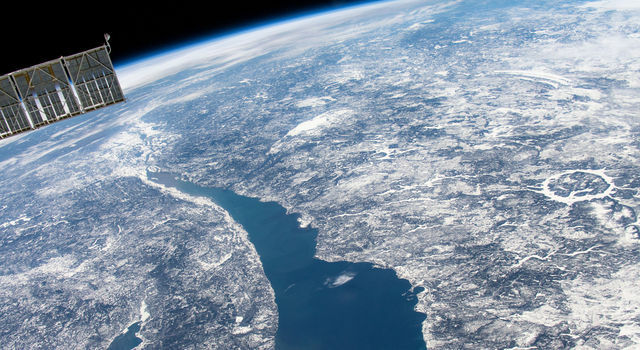 A layer of rocky debris blanketing the ice may have preserved the underground glaciers as remnants from an ice sheet that covered middle latitudes during a past ice age. This discovery is similar to massive ice glaciers that have been detected under rocky coverings in Antarctica. "Altogether, these glaciers almost certainly represent the largest reservoir of water ice on Mars that is not in the polar caps," said John W. Holt of the University of Texas at Austin, who is lead author of the report. "Just one of the features we examined is three times larger than the city of Los Angeles and up to one-half-mile thick. And there are many more. In addition to their scientific value, they could be a source of water to support future exploration of Mars." Scientists have been puzzled by what are known as aprons - gently sloping areas containing rocky deposits at the bases of taller geographical features - since NASA's Viking orbiters first observed them on the Martian surface in the 1970s. One theory has been that the aprons are flows of rocky debris lubricated by a small amount of ice. 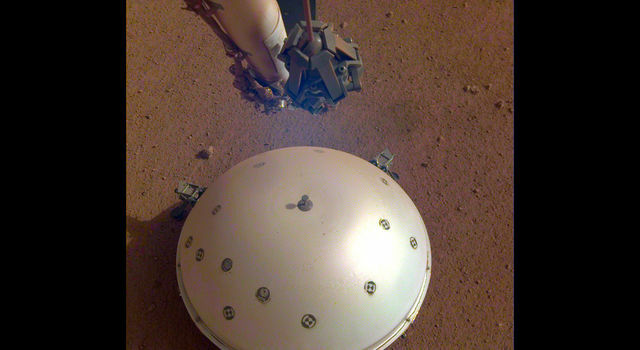 Now, the shallow radar instrument on the Mars Reconnaissance Orbiter has provided scientists an answer to this Martian puzzle. 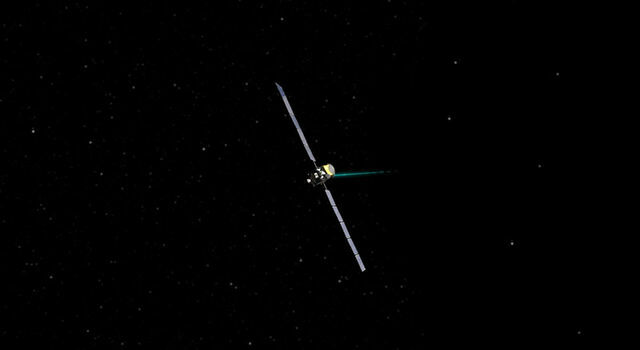 "These results are the smoking gun pointing to the presence of large amounts of water ice at these latitudes,” said Ali Safaeinili, a shallow-radar instruments team member with NASA's Jet Propulsion Laboratory, Pasadena, Calif.
Radar echoes received by the spacecraft indicated radio waves pass through the aprons and reflect off a deeper surface below without significant loss in strength. That is expected if the apron areas are composed of thick ice under a relatively thin covering. The radar does not detect reflections from the interior of these deposits as would occur if they contained significant rock debris. The apparent velocity of radio waves passing through the apron is consistent with a composition of water ice. 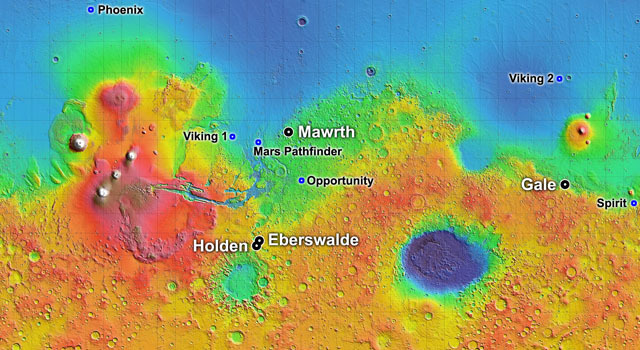 Scientists developed the shallow radar instrument for the orbiter to examine these mid-latitude geographical features and layered deposits at the Martian poles. The Italian Space Agency provided the instrument. 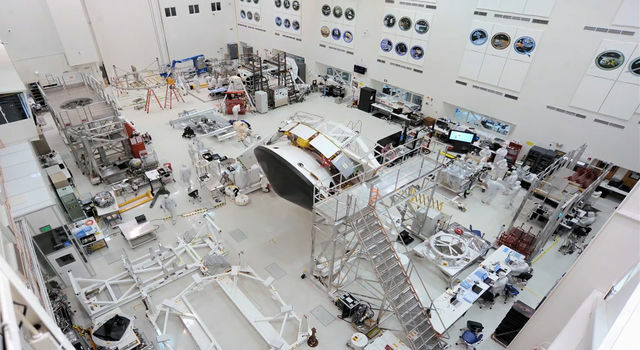 "We developed the instrument so it could operate on this kind of terrain," said Roberto Seu, leader of the instrument science team at the University of Rome La Sapienza in Italy. "It is now a priority to observe other examples of these aprons to determine whether they are also ice." Holt and 11 co-authors report the buried glaciers lie in the Hellas Basin region of Mars' southern hemisphere. The radar also has detected similar-appearing aprons extending from cliffs in the northern hemisphere. "There's an even larger volume of water ice in the northern deposits,” said JPL geologist Jeffrey J. Plaut, who will be publishing results about these deposits in the American Geophysical Union's Geophysical Research Letters. "The fact these features are in the same latitude bands, about 35 to 60 degrees in both hemispheres, points to a climate-driven mechanism for explaining how they got there." The rocky debris blanket topping the glaciers apparently has protected the ice from vaporizing, which would happen if it were exposed to the atmosphere at these latitudes. "A key question is, how did the ice get there in the first place?” said James W. Head of Brown University, Providence, R.I. "The tilt of Mars' spin axis sometimes gets much greater than it is now. Climate modeling tells us ice sheets could cover mid-latitude regions of Mars during those high-tilt periods. The buried glaciers make sense as preserved fragments from an ice age millions of years ago. On Earth, such buried glacial ice in Antarctica preserves the record of traces of ancient organisms and past climate history."